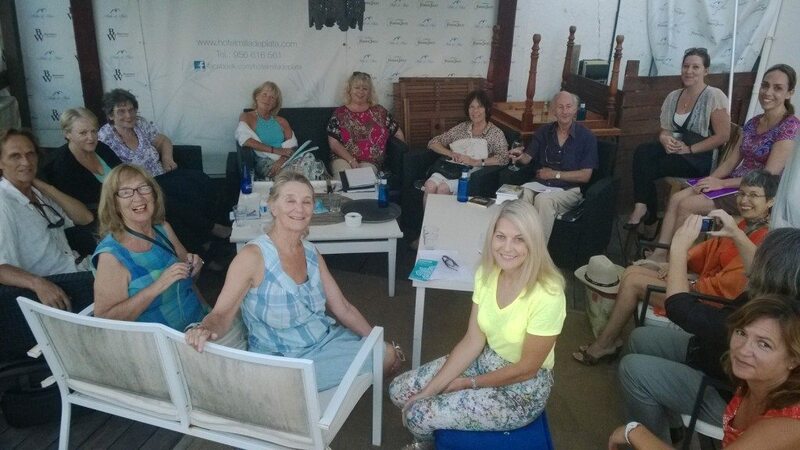 We started as a club which meets the second Thursday of the month, in Sotogrande, Southern Spain. 6.30 – 8.30 pm. As our membership base grew, so too did our technical knowledge. We expanded into helping people with publishing advice and now offer editing services. Our team are all writers. Some are journalists, lawyers, teachers, novelists. All are there to help. Being writers, we understand the insecurities and the need to protect that which we have created. We also understand the need to tidy up something that has lost shape or structure, or fails to communicate what we are trying to say. Suggestions sometimes hurt, but that is never the aim. Often, once new ways of looking at things are introduced it can clear the path and help you finish the piece that had you in tears just a week ago. Come along to the club, we’d love to meet you. Whether you write fiction, creative non-fiction, blogs, adverts, poems, if you’re a writer, we’ll make you welcome. Some of us receive an income from our writing. Few, if any, receive a living. There are those among us who have been published with mainstream or legacy publishers, others that have taken the self publishing route and then of course there are those who have not reached that stage, not yet. Members bring along a wide variety of writing fiction or creative non-fiction. Each author reads or has someone else read their excerpt which is then critiqued, all within a fifteen minute framework. Almost all of us have ‘Work in Progress’ and it is nice to read out small excerpts. It helps us to remember that our audience lives and breathes, cries and laughs. It helps us lift our heads and see the horizon. And it connects us to like-minded folk, to other writers. Please join us. It’s a free support network that helps writers write . . .